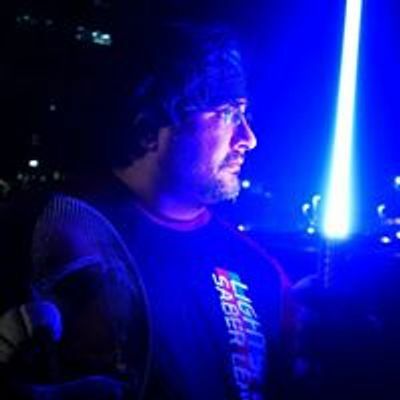 Come try Lightspeed-saber fencing® for free at Lightspeed Saber Academy. 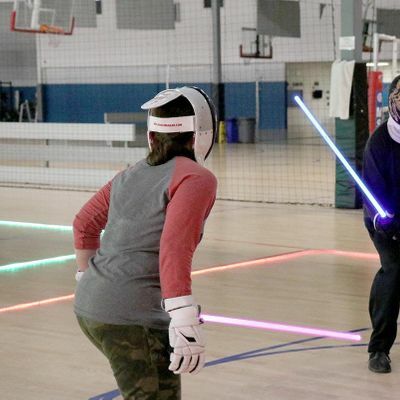 This is an exciting, showy new sport that is fast and intense. Prepare to sweat, feel the burn, and maybe get (and give) a bruise or two. 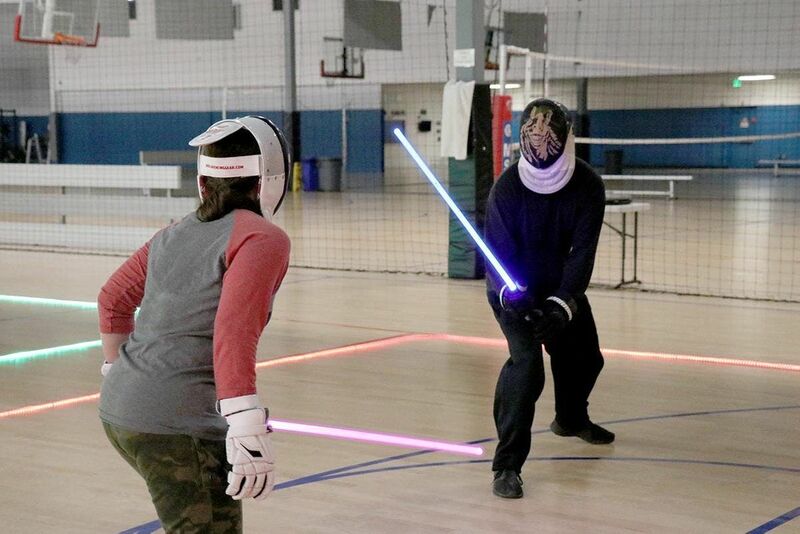 This is NOT just traditional fencing but with "lightsabers". It is a totally unique discipline demanding skill, speed, agility, and strategy, with zero choreography. All equipment is provided. Recommended age 15 and up, or at least 5 ft tall. This is a full class, with a warmup, a lesson, drills, and sparring. And it's free. But if you'd like to support us, a donation of $10 will be appreciated. Please bring water and wear comfortable clothes and shoes you can sweat and move around in.